The Cairngorms National Park is a special place with its own unique identity. The Park is not an organisation. It's a living, breathing destination with a reputation as an outstanding place for nature and recreation. The Park brand represents the landscape, its people and the experience it offers. Research repeatedly shows that visitors are looking for high quality, sustainable, authentic and distinctive experiences. 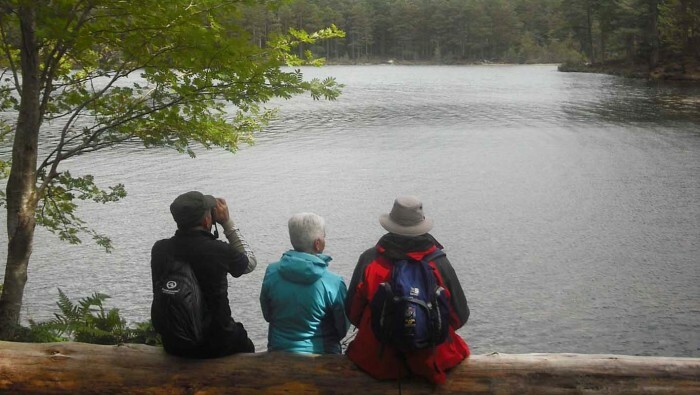 Associating your business with the National Park can really help to meet expectations of your customers and provide them with enjoyable and memorable experiences. Results from our 2014/15 Cairngorms Visitor Survey show that over half of local tourism businesses say that being in a National Park is very good for attracting visitors and over 96% of our visitors say they “love it”. Since the Park’s inception, there have been large investments in visitor infrastructure both by the CNPA and partners. And a key part of our investment in tourism is to work with partners to support businesses and the destination as a whole to develop. SIGN UP to the Make It Yours ebulletin to receive more information, advice and updates on tourism and marketing in the National Park, and how to make the most of the Park for your business. There are some quick ways of making the most of being in the National Park! 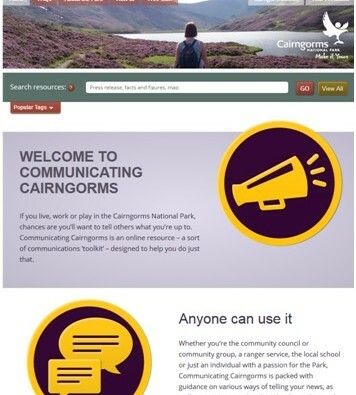 Simply using the words Cairngorms National Park in your promotional materials, on your website, on social media, is a great start. And as nearly half of our visitors can describe the Cairngorms National Park brand without seeing it, why not use it? Why use the Park brand? The Cairngorms brand was developed in 2004 to provide a strong identity for the National Park. It represents quality and environmental sustainability and features prominently on entry point signage and visitor information. 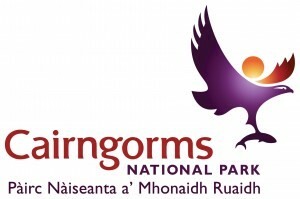 It is not the logo for the Cairngorms National Park Authority (CNPA). Rather it represents the Cairngorms National Park as an area. It attempts to capture the character of the Park, and is there for everyone to use. Used consistently, it will help build visitor and customer loyalty and awareness of the Park as a quality destination, offering very special experiences. Who can use the Park brand? The Park brand is available for use by businesses, organisations, communities, event organisers, schools working within the Park. And it’s free! But we do ask that you sign up to the Cairngorms brand charter – this confirms your commitment to help promote the best the National Park can offer and deliver high quality, sustainable and authentic experiences, products and services. The Cairngorms brand charter guidance includes useful information and advice on how you can meet the terms of the charter and benefit from using the brand. If you live, work or play in the Park, this online 'toolkit' will help you communicate what you're up to. Packed with useful information, guidances and free resources, including stunning, free of charge images. Tourism is vital to the economy of the Park. Find out what our visitors think. How do I apply to use the Park brand? Once we’ve received your signed charter, we’ll send you a brand welcome pack which contains electronic versions of the brand identity and design guidelines, along with a variety of information and branded products. And we’ll email you twice a year to keep you up-to-date with developments and relevant information.